Learn how you can join an existing team page! As a fundraiser, you have the opportunity to join a team, so you can fundraise alongside your preferred group! 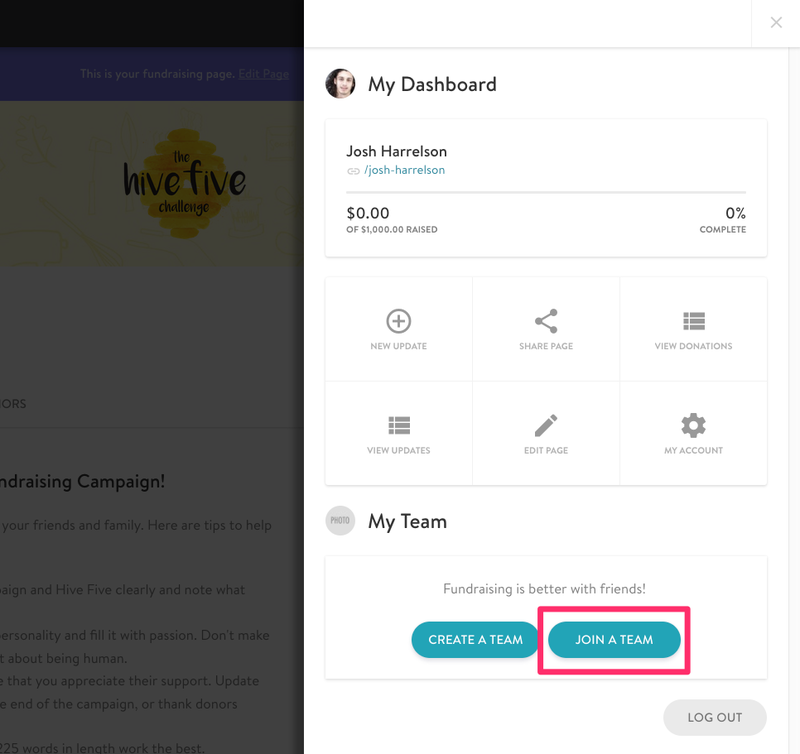 Step 1: Sign in to your personal fundraising page and click on "Join A Team" under the "My Team" section. Step 2: Search for the team name if you already know the one you'd like to join, or browse through the team listing. Select the team you'd like to join. 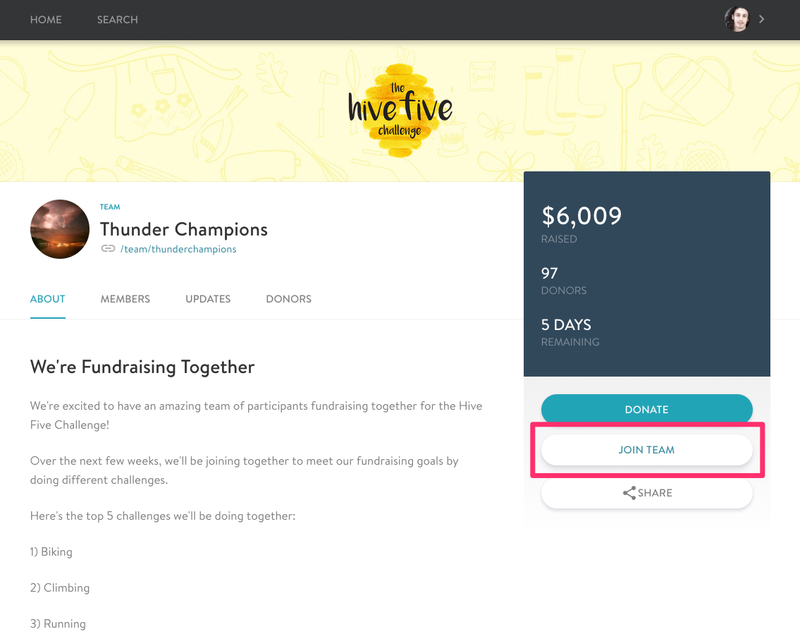 Step 3: Click on "Join this Team" button in the right column of the page. 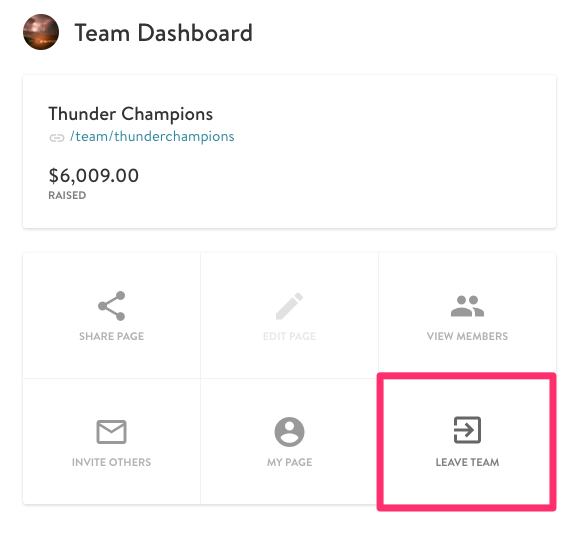 You can only be part of one team, and you can leave a team anytime by clicking the "Manage" link that appears on the Team page. You can then select the "Leave Team" button in the Team Dashboard to leave it. 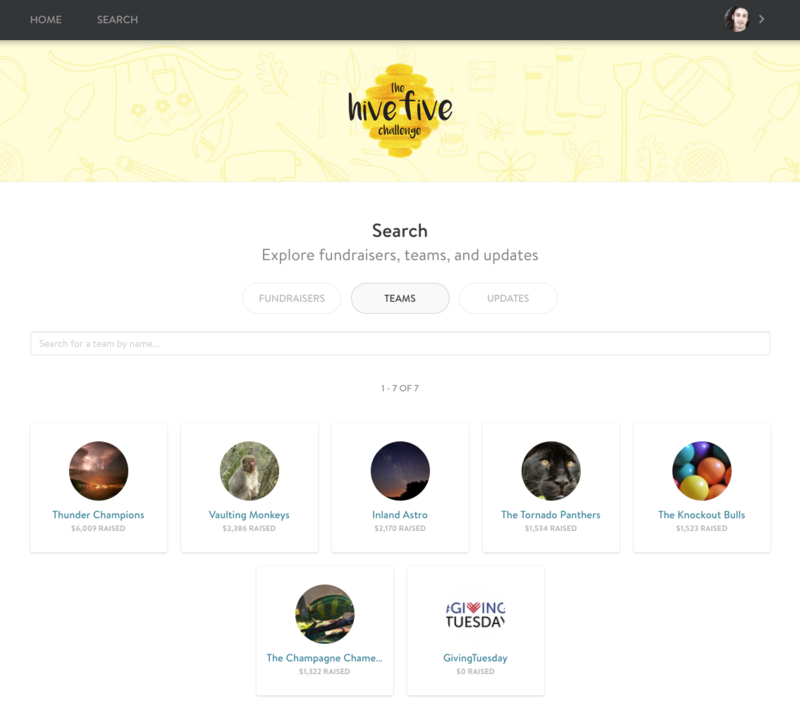 Any funds donated through your page will appear under the recent donors section of the teams page, and the donations will reflect towards the team goal. The team goal is set by the team admin (the team creator). 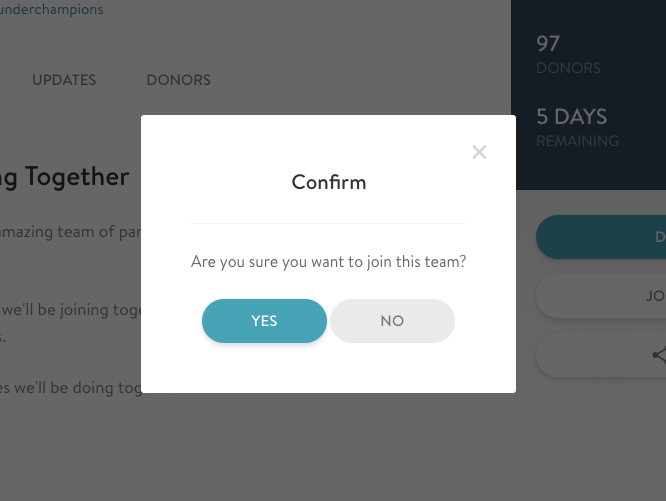 Donations made directly to the team will not appear on your fundraising page.